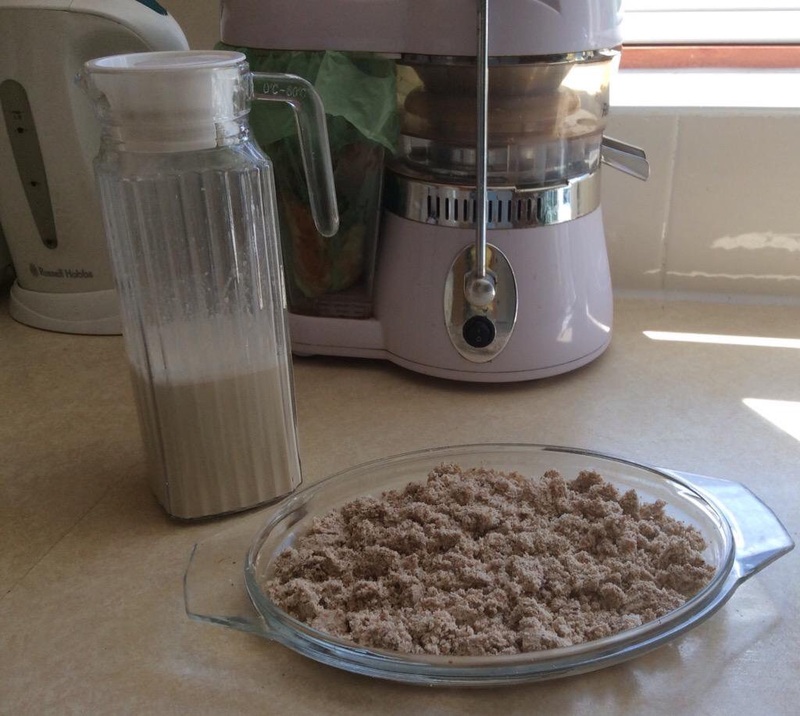 I have grouped some Nut & Seed Milks & Smoothie recipes in one place for convenience. There are others under Super Smoothies in the menu. I gave up dairy many years ago and relied on rice milk instead. But recently I discovered homemade nut milks and have become a true convert. Much creamier, tastier and more nourishing than the rice version. Lately, though, I tried homemade hemp seed milk for the first time and thought I would share the recipe. (Hemp seeds are a good source of protein, B vitamins and omega oils). You can use the milk in SMOOTHies, on cereal or to make Spicy Raw Hot Chocolate (see Recipe here) or try a SMOOTH Cool Chocolate Hemp Milk: just whisk up some hemp milk with some Raw Cacao Powder and Lucuma Powder or Coconut Palm Sugar to taste and plonk in some ice cubes. Blend for up to a minute until smooth. Some people like to use it as it is for a fuller flavour and of course you get all the nutrients, or you can strain it through a nut bag. You can always dry the pulp and use it in burgers, cakes or smoothies. This recipe makes about 1/2 to 3/4 of a litre. It will keep chilled in a sealed container for 3 days. Tiger nuts are actually tubers and are fine for people with nut allergies. They are packed with nutrients and make a lovely creamy, naturally sweet milk when soaked and blended. Drain soaked Tiger Nuts and add to high speed blender with filtered water, dates, vanilla and salt. Blend on fast until smooth, about a minute. (There is no waste, as you can dry the pulp in a low oven and use it in making burgers, energy balls, sprinkle it on your breakfast or add to smoothie. See also my recipes for Lemony Tiger Nut Truffles here and Raw Orange, Cacao and Walnut Cookies here). Pour into an airtight bottle and keep in the fridge. Keeps for about 4 days in my Grip & Go leakproof glass bottle. 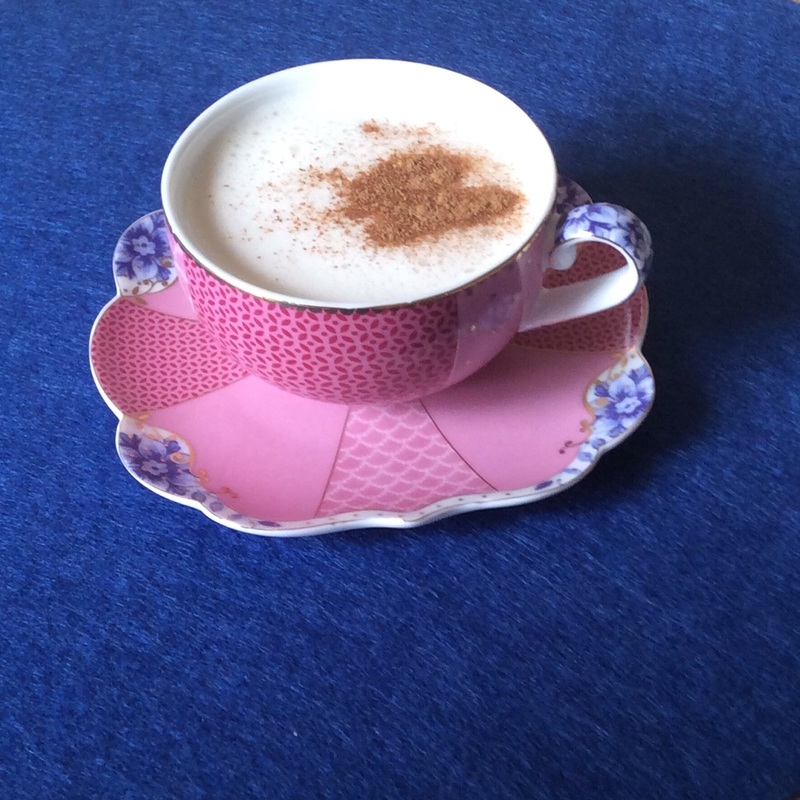 It is also nice slightly warmed with a sprinkling of cinnamon and served in a pretty pink cup! Home-made almond milk is so much better than that bought in cartons and so easy to make, especially if you have a high-speed blender. We use the Optimum 9200 from Froothie, easy to use, easy to clean. Almonds are the king of the nut world in terms of nutrients and alkalinity. Full of vitamins and minerals, including B vitamins, Calcium and Vitamin D, 1 oz or 28g (a small handful) contains about 6g of protein. Most of the fat content is the healthier mono-unsaturated type. So, have a go at making your own, it is a very satisfying activity. Because it is a very hands-on exercise, do make sure you wash your hands and nails thoroughly before starting. All ingredients are organic where possible. This recipe makes about 1 litre. You will need something to strain the milk, we use a nut milk bag bought on Amazon and still going strong a year later. It is easy to rinse out afterwards, under a hot tap. Soak 1 Cup Raw Almonds overnight in enough filtered water to cover them. They will look plump after soaking. Blend on Fast for about 60 secs. Strain gently through a nut milk bag or muslin into a large jug. Let it run through first, then very gently begin to squeeze. Don’t be too enthusiastic about this or you’ll end up with more on you and the work surface than in the jug! Be patient. It’s worth it. It can keep up to 4 days in an airtight glass jar (such as the Grip and Go below) or jug in the fridge, but I doubt you will manage to make it last that long! It’s too good. Ps you can dry the pulp on the lowest setting of the oven and use it as flour or in veggie burgers, raw treats etc. See Savoury Vegan Recipes in the Menu for burgers and treats using nut milk and tiger nut milk pulp). This protein-packed smoothie features Organic Raw Goji Berry Powder, Organic Shelled Raw Hemp Seeds and Organic Raw Goji Berries (we use The Raw Chocolate Company products*). It can be made in a small blender, I use the kind that can also be used as a flask, so you blend and go. This tangy protein shake is a nutritious green powerhouse. It is more of a thinny than my usual thick smoothies but feel free to adjust the amount of apple juice. As always, all measurements are approximate and can be adjusted according to taste and preference. It’s orange with black chia seeds and it roooaaarrrs! It doesn’t have real tigers in, but it does have tiger nut milk! Blend until smooth, and if you’re reading this in Summer, pour over ice – if not, add a pinch of chilli or turmeric! This smoothie features some of my favourite nutrient-packed fruit: Peruvian Golden Berries and Blueberries. Golden Berries are regarded by some as one of the Superfoods, being nutritionally dense, and with their sweetly tart flavour they are delicious on their own as a snack, in your breakfast bowl or smoothie. (There is also a recipe for GoGo Berry Fudge on my Raw Treats Recipes page using both Golden and Goji Berries). Also known as Physalis peruviana, Inca Berry and Cape Gooseberry, Golden Berries are comparatively high in antioxidants, fibre and iron – reportedly, they contain more iron than spinach – as well as protein and Vitamin A, whilst being lower in sugar than other berries. So here is a recipe for a delicious and nutritious protein-rich thick shake using The Raw Chocolate Company raw, organic Golden Berries. A spoon will be required! (All ingredients are organic where possible, measurements as always approximate). Adding greens to your smoothies gives them and you an extra boost of important nutrients: Proteins, Vitamins, Minerals and Fibre. Rocket, or Arugula, is a cruciferous vegetable – like Kale and Sprouts – which are associated with a lower risk of cancer, in particular lung and colon cancer. It provides Calcium and Vitamin K for bone health, antioxidants, Iron and B Vitamins, including Folate, and contains nitrates, which lower Blood Pressure and the amount of oxygen required during exercise, while enhancing athletic performance. It has a light, slightly herby flavour and is not at all overpowering when combined with fruit, nuts and seeds. I was pleasantly surprised the first time I tried it when we ran out of Romaine Lettuce. (Remember to alternate cruciferous with non-cruciferous greens to protect your thyroid health). This is a thick smoothie, you’ll need a spoon! (You can reduce the oats if you want it thinner).